I would have to say that developing signature style is my trademark. Rather than helping people focus on what is in, current and on trend I take that a step further and help individuals and companies break free from the idea of rules to create a look that is uniquely their own. I am inspired by people like YSL, Kate Moss, Tamara Mellon, and Blake Lively. These fashion icons do not follow trends, they create them. I started my fashion career in boutique sales working for Jimmy Choo and then eventually Salvatore Ferragamo, however I felt like I wasn’t really pushing myself. I visited my brother and his girlfriend in September 2011 during New York Fashion Week and caught one glimpse of the tents at Lincoln Center and I was hooked. The second I got to an internet connection I got on the the MBFW Website and applied to volunteer. Three seasons in I have had the fortune of moving up to a Venue Captain for shows in the main theater including Rebecca Minkoff, Monique Lhullier, and Marc by Marc Jacobs. Given that I am new to this industry I have really made an effort to branching out and trying my hand different areas of the industry including styling photo-shoots, collaborating with designers to conduct fittings, dressing models, and actual show production. 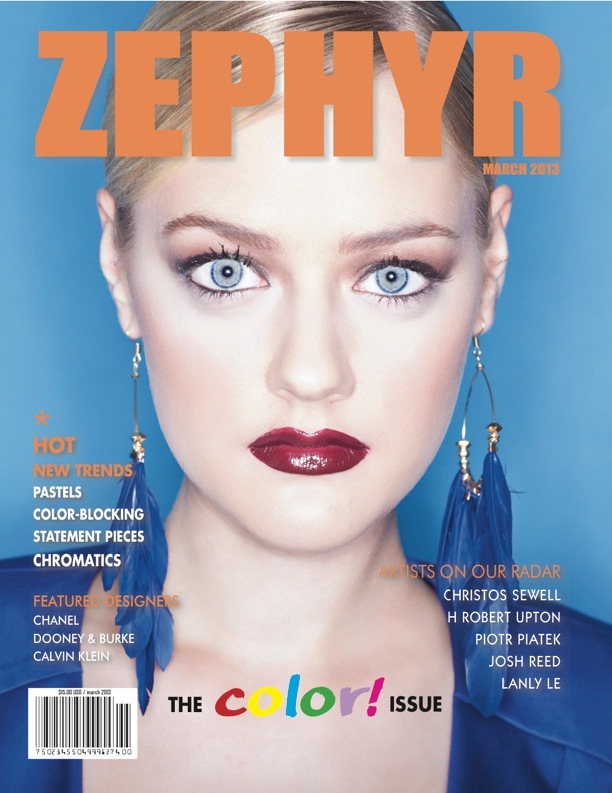 Currently I work independently as a Fashion Stylist, you can see my published work in Zephyr Magazine, Fashion Faces Magazine, and Eloise Magazine. To see my portfolio please visit my Facebook Page Chic and Disheveled. As I said before Kate Moss is a huge fashion icon personally, but I am not alone. The world adores her. One of the things that inspires me most is that she never looks perfect. There is always something slightly askew or…disheveled about her. Whether it be she is in a perfectly polished look with her hair a-mess, or she is decked out in grunge but her make-up is flawless. There is always an element that make it her, and that is what fashion is all about. Taking it and making it your own!